The Laneway Towns on 21’ lots come in two stunning elevations – one in a light stucco and grey stone façade and the other in rich dark stone and wood paneled exterior. Both elevations offer a wide selection of 3 and 4 bedroom models ranging from 1705 sq. ft. to 2385 sq. ft. Each Townhome model comes with a single or double car garage and an optional loft that offers up to 500 additional sq. 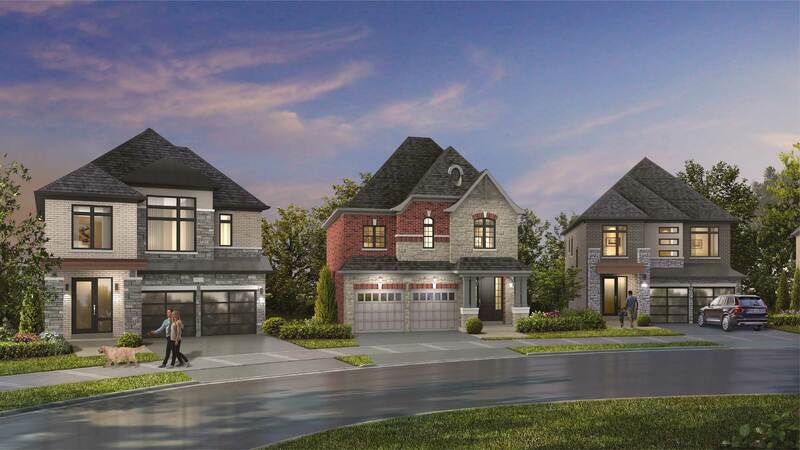 ft. With 2.5 bathrooms and a fantastic array of standard features and finishes, these Townhomes are ideal starter homes for young and growing families.